Want to fundraise within your community? We are honored to be contacted so often by passionate members of our community wanting to organize an event or promotion benefiting breast cancer awareness and research. The Virginia Blue Ridge Affiliate of Susan G. Komen® partners with others because it benefits both parties in terms of public awareness. Use paper donation ribbons to fundraise within your community or business. We will provide the paper ribbons. As people make donations, they can write their name on the ribbon and hang it on a wall to collectively show the impact that your organization/group has made! Contact info@komenvablueridge.org to request donation ribbons today. 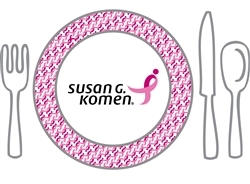 Fundraising for Susan G. Komen Virginia Blue Ridge has never been easier! Through creating an impact project of your choice, such as starting a lemonade stand or workplace fundraiser, you can help us support life-saving breast cancer research, treatment, education and community health programs. Choose a fundraiser that gets you fired up! You might sign up to raise money in honor of a loved one, or host a workplace or school pledge drive. Or, create your own unique impact project! Start your personal fundraising page. Leverage tools like Facebook to connect with family and friends. Collect donations that will help make an impact in the breast cancer fight. Participants can donate directly to Komen Virginia Blue Ridge online, making the donation process quick and easy. They’ll be able to instantly see how their donation is making an impact through the fundraising barometer on your fundraising page. On your personal fundraising page, you can share a story of how breast cancer has impacted your life and how you are igniting change in your community. Involve family, friends, and co-workers by inviting them to give in honor of a loved one, in support of a workplace or social fundraiser or in lieu of gifts for a special event. Plan a Rally for the Cure® program for sporting events like golf, tennis, dinner events such as wine-tasting or group/club activities such as a bridge or book clubs. Click here to learn how you can become a Rally Ambassador. 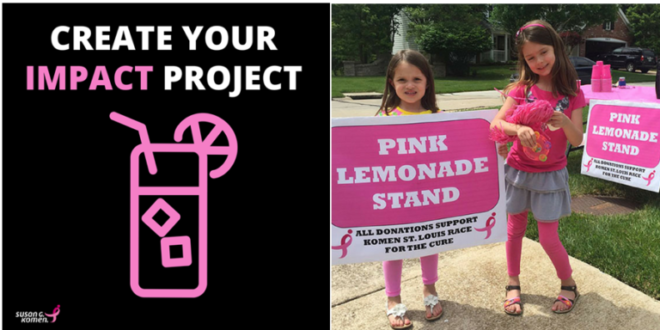 Option 5: You may want to consider not using the Komen name/logo and instead making a general statement that the funds raised will go to a local breast health organization or breast cancer research and support. We would be honored to receive funds raised and would give public recognition for your donation.